Of four eligible comments over the past three days, cindyetta was again randomly selected (via Random.org) to recieve another gift (see Good things come in threes for more gifts to come). And today’s gift is a trio of Mad Libs from Play suitable for entertaining cindyetta and friends at a summer barbeque or road trip. Thanks again cindyetta for joining in the conversation. Thank you Play for donating the Mad Libs. Your store is a delight for kids and grown-ups alike. Things are picking up a bit in the way of comments. That makes me happy. Of five eligible comments from four commenters over the past three days, cindyetta came in at the nth hour to be the randomly (via Random.org) chosen commenter to score today’s gift (see Good things come in threes for more gifts to come). Today’s gift is a trio of comic books (and a bonus hardcover of Batman’s Battle for the Cowl) from G-Mart Comic Books. Thank you cindyetta for joining in the conversation. 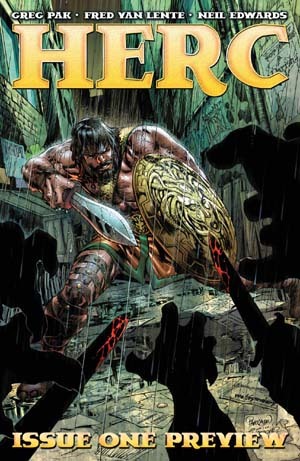 Thank you G-Mart Comics for donating the comics. 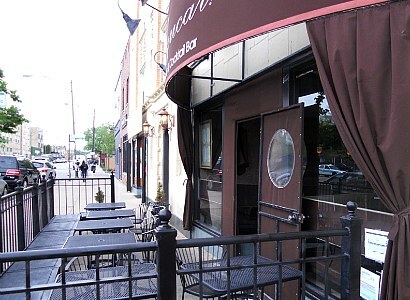 I’m glad you chose Logan Square for your off-line store. Upon reading The Dirt blog Interview with Jan Gehl, who is the author of Cities for People (on my “to read” list), I was prompted to write more about why big box stores don’t work in urban neighborhoods, about why blank walls kill the spirit of commercial corridors, or, rather, the opposite — about what does work. One of the reasons I think the stretch of Milwaukee Avenue between Logan Boulevard and Diversey Avenue (and its Kedzie Avenue opposing street wall) has such potential is because of the plethora of soft edges that still exist, along with some that have been created in recent years. 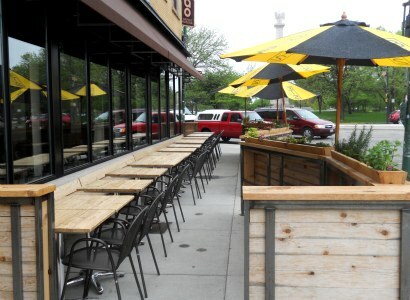 The newer additions are the various sidewalk cafés like Ciao Napoli Pizzeria’s (photo below left) that even makes its barrier interesting with an unexpected notch in its plane. 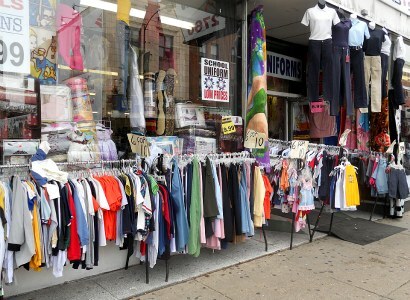 Then there’s old- (or never left-) school, like the sidewalk sales of Royal Discount Center (photo below right). 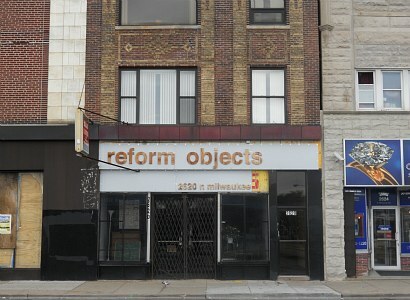 Reform Objects on Milwaukee Ave.
As I responded to reader/commenter Amy (see Thank you, and…), I have a complaint with the Dill Pickle Food Co-op: that it didn’t locate on Milwaukee Avenue. Wouldn’t it have looked lovely? 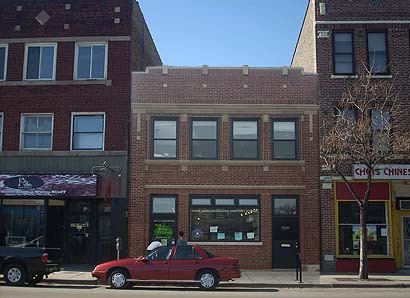 Looked Like on Milwaukee Ave. 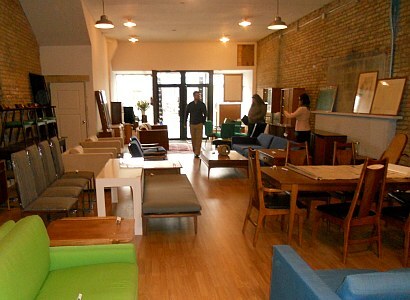 Warehouse Furniture at 2775 N. Milwaukee Avenue is engaging in some creative retailing. They will change/trade your gold for furniture, electronics or mattresses. 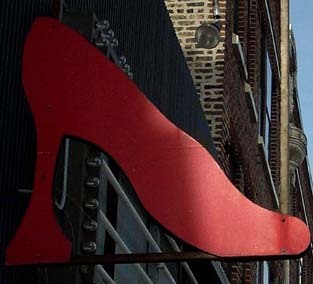 I have more to share of my interview with Dulce Ramos, owner of The Pump Room Boutique, a shoe store located on Milwaukee Avenue in Logan Square from 2003 to 2007. I lost recording of a part of the interview, so Dulce’s words are interspersed below in my own recap and commentary on some of the things we talked about earlier this month.